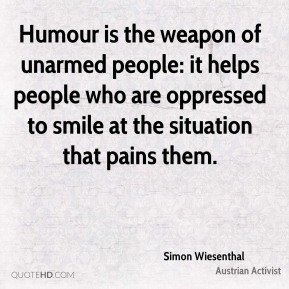 For your benefit, learn from our tragedy. 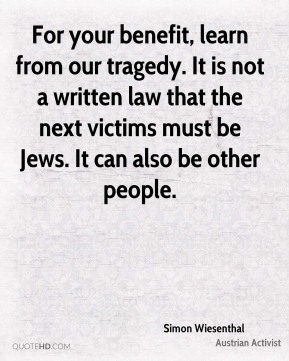 It is not a written law that the next victims must be Jews. It can also be other people. 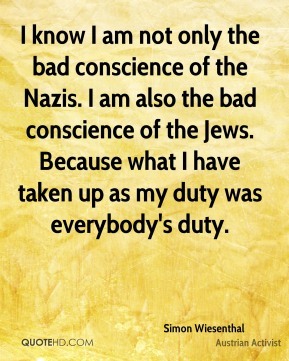 I know I am not only the bad conscience of the Nazis. 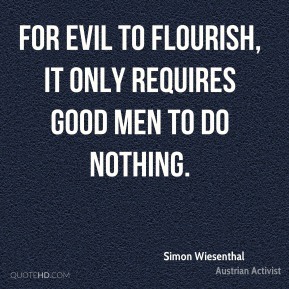 I am also the bad conscience of the Jews. 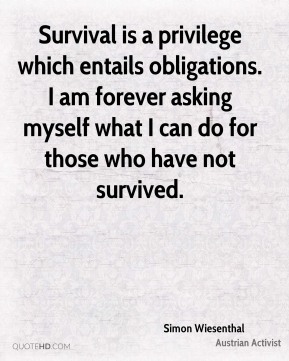 Because what I have taken up as my duty was everybody's duty. The end was surely near. The Nazis killed you only when you were naked, because they knew, psychologically, that naked people never resist. 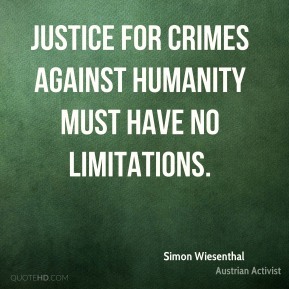 The history of man is the history of crimes, and history can repeat. 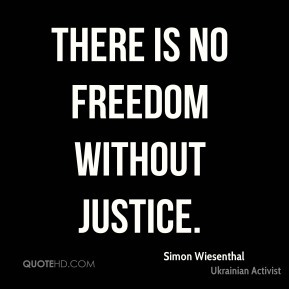 So information is a defence. 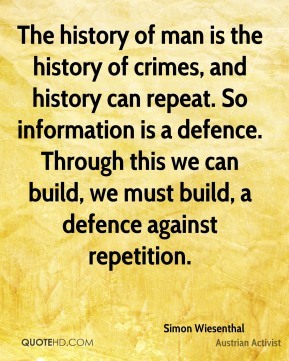 Through this we can build, we must build, a defence against repetition. 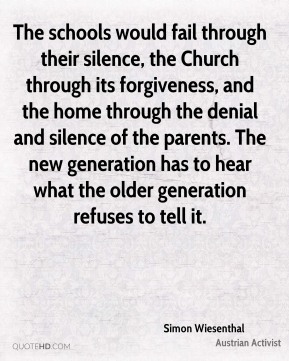 The schools would fail through their silence, the Church through its forgiveness, and the home through the denial and silence of the parents. 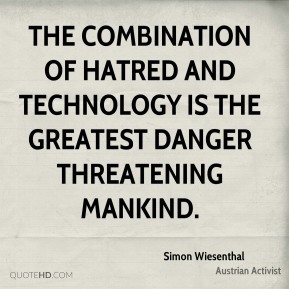 The new generation has to hear what the older generation refuses to tell it. 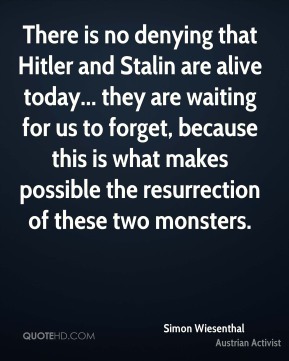 There is no denying that Hitler and Stalin are alive today... they are waiting for us to forget, because this is what makes possible the resurrection of these two monsters. 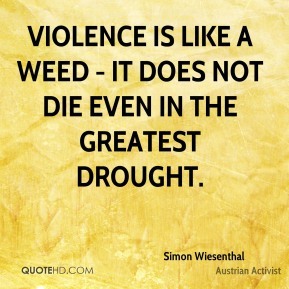 Violence is like a weed - it does not die even in the greatest drought. 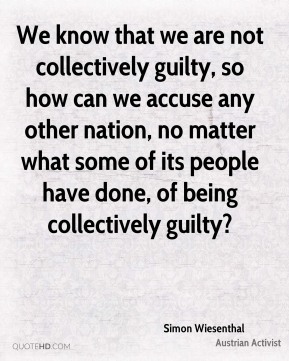 We know that we are not collectively guilty, so how can we accuse any other nation, no matter what some of its people have done, of being collectively guilty? 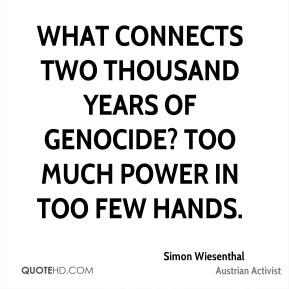 What connects two thousand years of genocide? Too much power in too few hands. 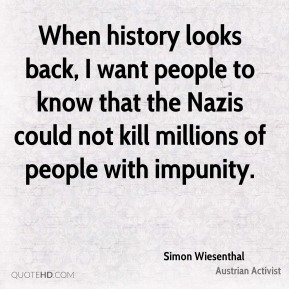 When history looks back, I want people to know that the Nazis could not kill millions of people with impunity. 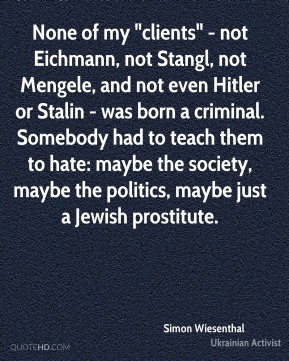 None of my "clients" - not Eichmann, not Stangl, not Mengele, and not even Hitler or Stalin - was born a criminal. 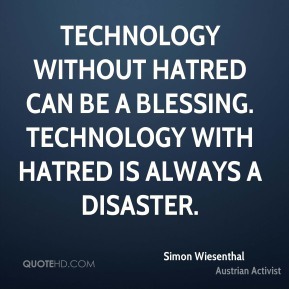 Somebody had to teach them to hate: maybe the society, maybe the politics, maybe just a Jewish prostitute. 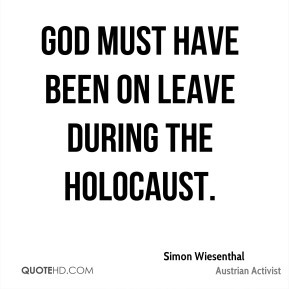 For me was the Holocaust not only a Jewish tragedy, but also a human tragedy. 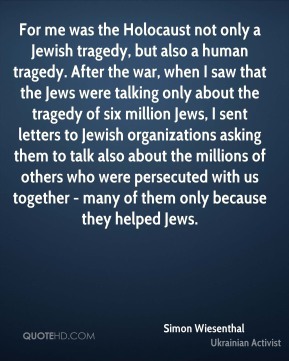 After the war, when I saw that the Jews were talking only about the tragedy of six million Jews, I sent letters to Jewish organizations asking them to talk also about the millions of others who were persecuted with us together - many of them only because they helped Jews. 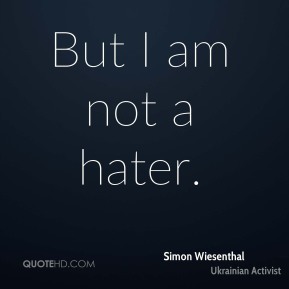 But I am not a hater. 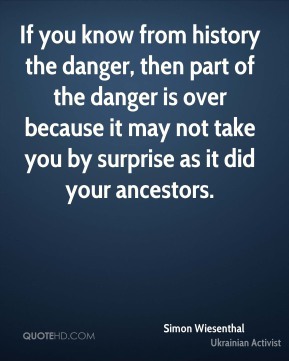 If you know from history the danger, then part of the danger is over because it may not take you by surprise as it did your ancestors. 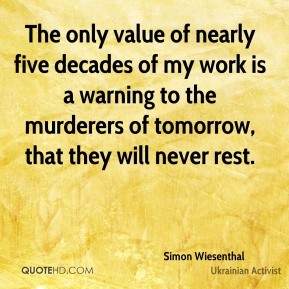 The only value of nearly five decades of my work is a warning to the murderers of tomorrow, that they will never rest. 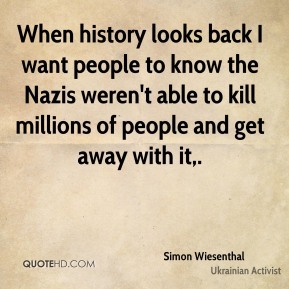 When history looks back I want people to know the Nazis weren't able to kill millions of people and get away with it. 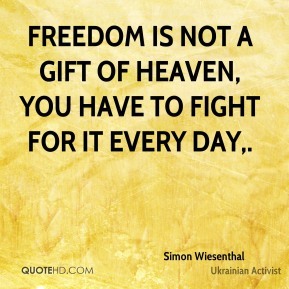 Freedom is not a gift of heaven, you have to fight for it every day.